Film Soundtrack, 1974 (Warner Bros.JRhino) No stars; not recommended. 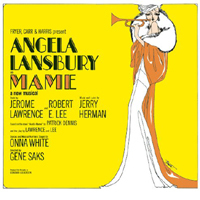 All elements of the Broadway smash hit pointed toward Mame being turned into a wonderful movie musical, but it misfired. 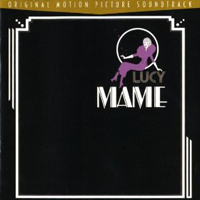 The soundtrack album reveals how Lucille Ball’s lack of voice and musicality sabotaged the film more than any of its other flaws. As much as we all love Lucy, her singing here is unlistenable; she sounds ill at ease performing numbers written for someone with the vocal chops of a Judy Garland. Some of the choral work on this recording is very nice, but the orchestral arrangements sound wanting. And although Bea Arthur and Jane Connell reprise their original roles, even they sound uncomfortable on this disc. Only Robert Preston as Beau Burnside has a stellar moment when he sings “Loving You,” an excellent song that Jerry Herman composed expressly for the movie. — G.A.